Ultra dazzling flower cluster hip hop chain necklace, iced-out with all clear stones. 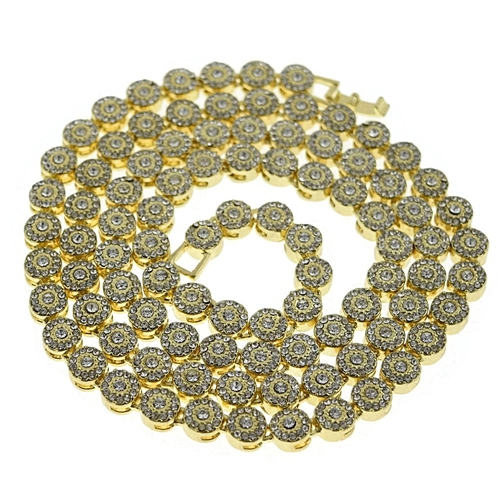 Gorgeous yellow gold finish for a perfect shine. 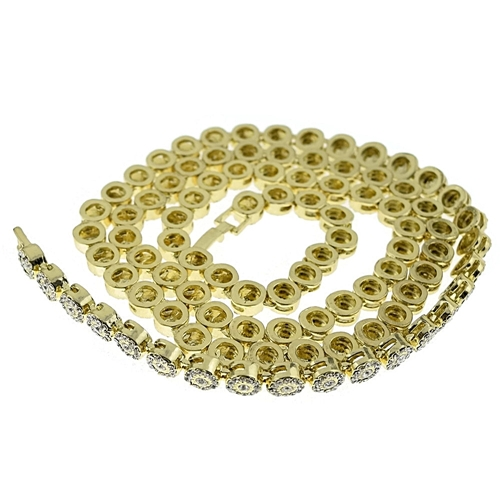 Features a luxury clasp to lock your necklace chain easily and securely. 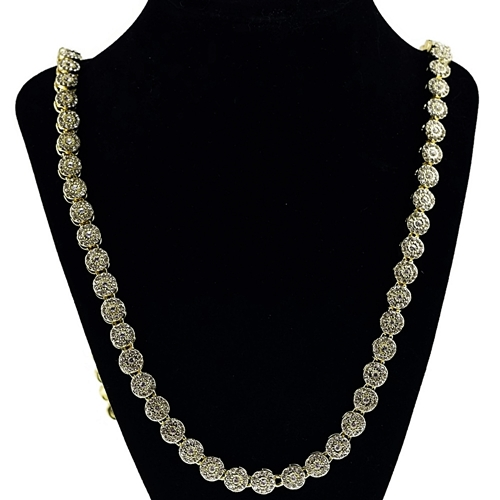 This chunky men's flower cluster iced-out chain measures 8mm wide and 36" inches long. Alloy metal and weighs a solid 150 grams. 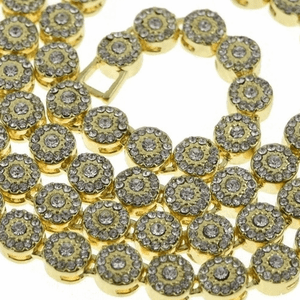 Iced-out with a whopping 1000+ round stones.